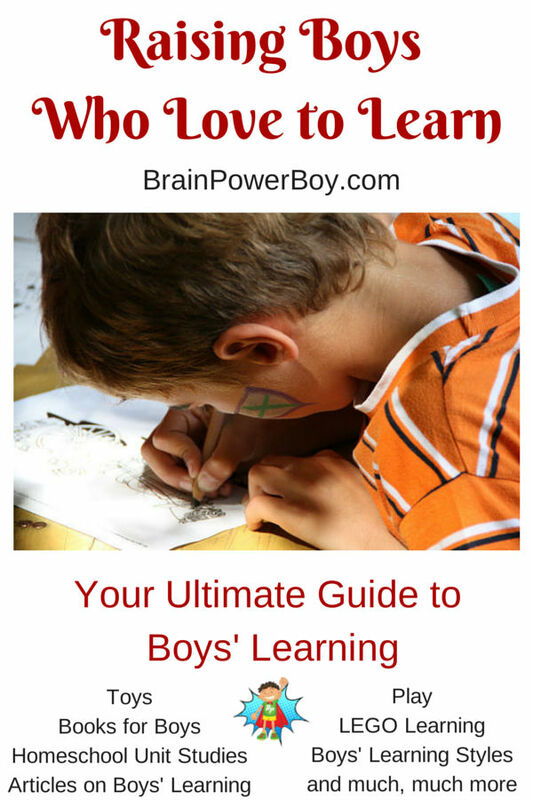 Brain Power Boy is all about raising boys who love to learn. What does that mean exactly? We want to supply you with the best information on boys’ learning and provide great resources so your boys can really enjoy learning. Lifelong learning is our goal for boys. We do not want them to think that learning only happens in school, or worse yet, that you stop learning when you are not in a school building. We take a different approach and focus on learning as opposed to teaching. How can we, as mothers, fathers, grandparents, teachers, guardians, aunts, and uncles, help? We can provide them with the information they need to know. We can give them gifts and experiences that help them to follow their passions. We can stand aside and let them learn in the way that works best for them. There is so much that we can do to help boys with their learning lives and that is what we want to present here. We want this to be the place you come to find fun learning things for your boys to do. We want to be your Ultimate Guide to Boys Learning. Is It Nothing To Be Happy? Boys’ learning need not be a mystery or difficult. Use this Ultimate Guide to Boys’ Learning to get on the path to raising boys who love to learn! Would you like to get Boys’ Learning resources sent right to your email? Subscribe below. p.s. Get exclusive content only available to Brain Power Boy newsletter subscribers.